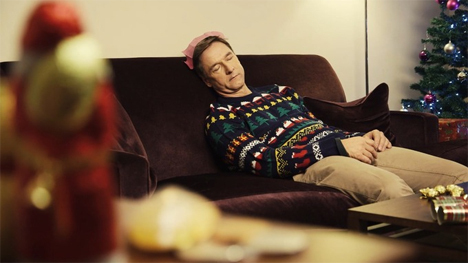 At every holiday gathering – and, come to think of it, on a lot of regular days as well – you can count on someone falling asleep in front of the TV after a delicious meal and a few drinks. It’s really annoying, though, to sit down intending to watch something only to wake up a couple of hours later to find that you’ve slept through the whole thing. A couple of Manchester Creative Studio students aged 15 and 14 came up with the perfect fix that will ensure you get to watch all of the TV you want. 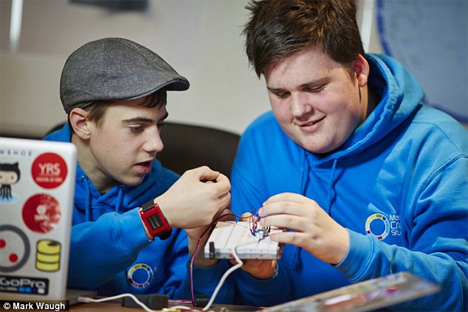 Their wearable design is called KipstR, and it was brought to life through Virgin Media’s Switched on Futures project. 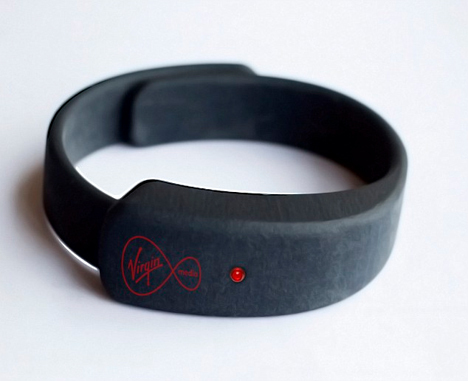 The 3D-printed wristband houses a pulse-oximeter which measures just how awake the wearer is. If Uncle Joe is wearing the KipstR and drifts off for a little kip (or nap, for those not fluent in British), the wristband acts like a remote for the TiVo and pauses or records the show. While the TiVo is recording that show, family members can feel free to grab the remote and switch over to something they like without fear of retribution when Uncle Joe suddenly roars back to life and wonders why his program isn’t on. The students behind the design, Ryan Oliver and Jonathan Kingsley, were asked to work with Virgin Media in the refinement of the design. The wristband can mimic the remote control’s functions, but the KipstR could also be used to control other things around the house when the wearer falls asleep. If you live alone and are worried about wasting utilities, future versions of the technology could turn off your lights or turn down the heat while you sleep. The wristband could even record your emotional state and suggest TV shows based on your current mood…although we have to point out that extending your Little House on the Prairie marathon definitely isn’t going to get you out of that post-holiday emotional slump. See more in Audio & TV or under Gadgets. December, 2014.